You can search for seats by making selections from the options below. 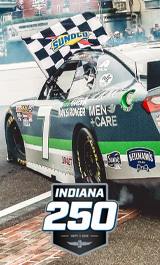 To purchase ADA Tickets and Parking or for questions regarding ADA, please contact the IMS Ticket Office at (800) 822-INDY (4639), or locally at (317) 492-6700 or ada@brickyard.com. Now that you've specified your preferences, click the search for Best Seats button to see ticket options. Reserved Seats will grant the ticket holder full general admission access.